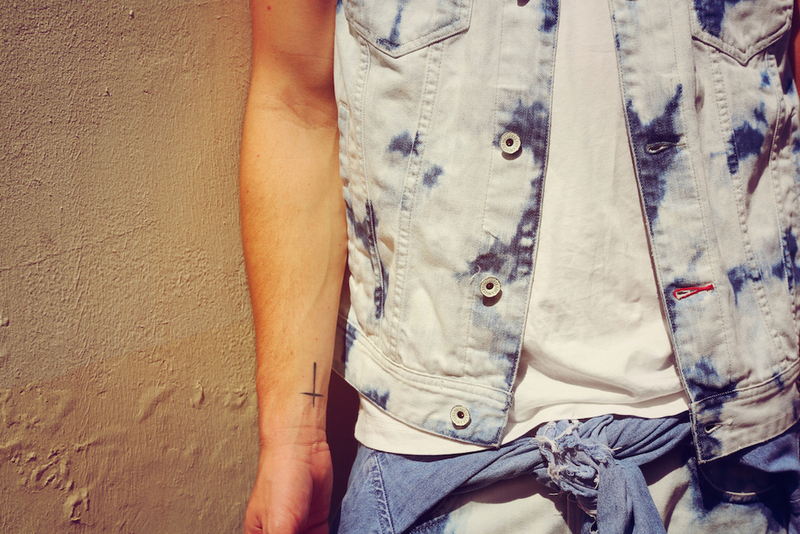 Double down on your denim fun this summer with tie-dyed prints making a seriously stylish statement comeback. 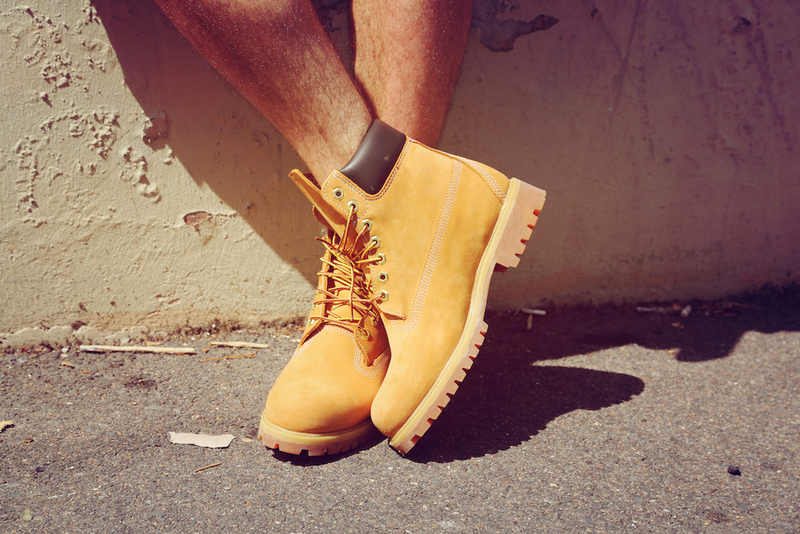 Try teaming vest and short combinations with bright colour basics and toughening up the finished look with a pair of Timberlands, Kanye style. 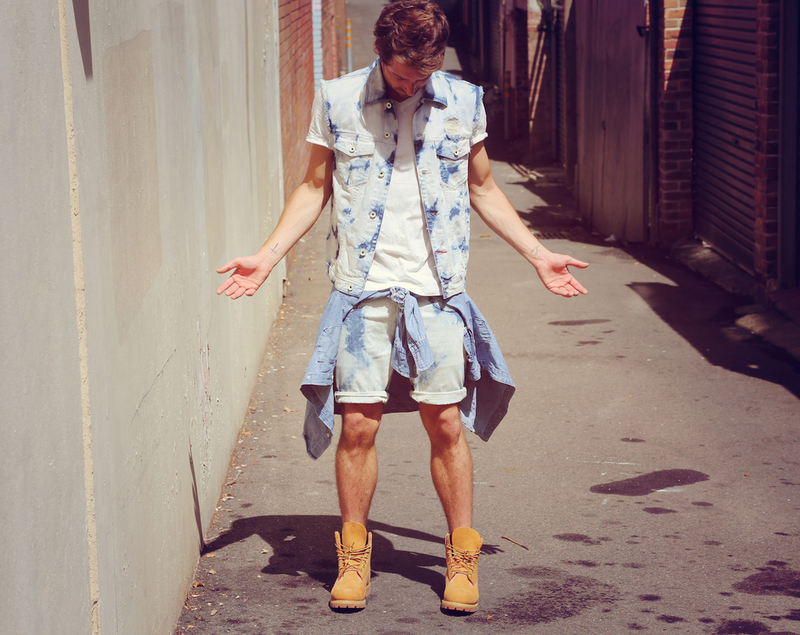 'Cause Yeezy taught me. 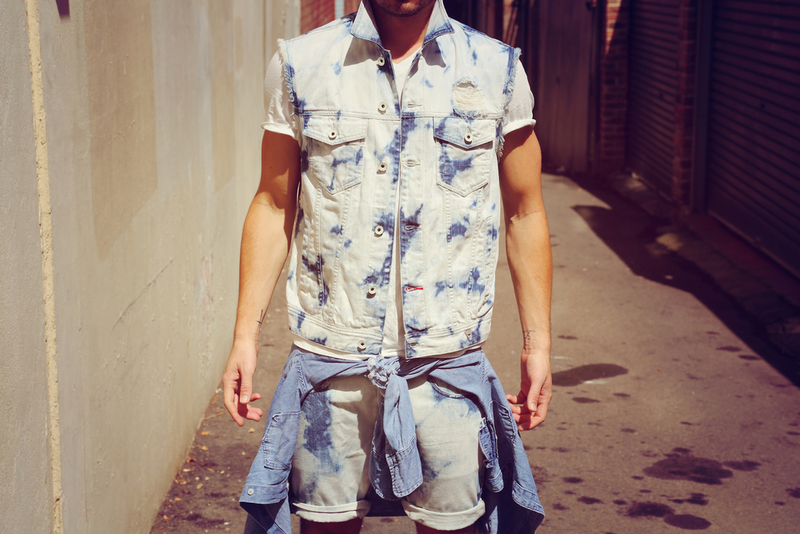 GET THE LOOK | Denim vest, shorts and shirt by GUESS, tee by Le Coq Sportif and boots by Timberland.